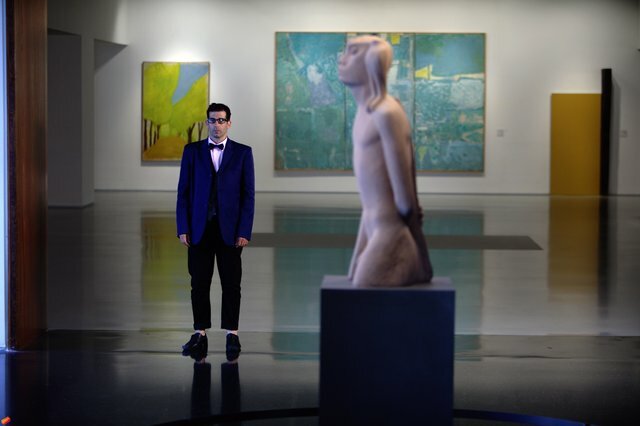 Structured like a Hollywood trailer, with rhythmical editing and multiple effects, ​‘The Curator’ depicts a curator’s “rise to power” with a measure of grotesqueness, exposing the art world in which the curator reigns. Mapping external signs and cultural codes, Marcus traces the activity and multiple functions of the curator, ponders over the skills required for this coveted position, and analyses the mechanism of self-glorification. The work also criticizes the superficiality and presumption in the art world, the “celeb” culture which crowns objects of admiration and imitation, and the yearning of patrons—powerful tycoons—to establish their high status by means of art works and artists. The work offers a “behind-the-scenes” glimpse into this impulse-ridden world, often perceived as a detached, elitist bubble, thereby shedding light on one of many aspects in contemporary culture.